It's been as wide-open a race for our favorite songs of the year as any 12-month period we can remember; without one specific artist or movement really putting their imprint on the year, just about anyone could've claimed for the top spot. Hence, our list of the 101 Best Songs of 2014 includes just about everything; our top 20 alone contains a pair of former child actresses, a band three decades deep into their career, an icon who's been dead for five years, and an artist that doesn't technically exist by some definitions. Regardless of the improbability of some of the performers involved, though, the songs themselves were as strong as ever — songs that made us go up, turn down, and swing from the chandel-li-iiiiiieeer. Close your eyes, and let's start counting. 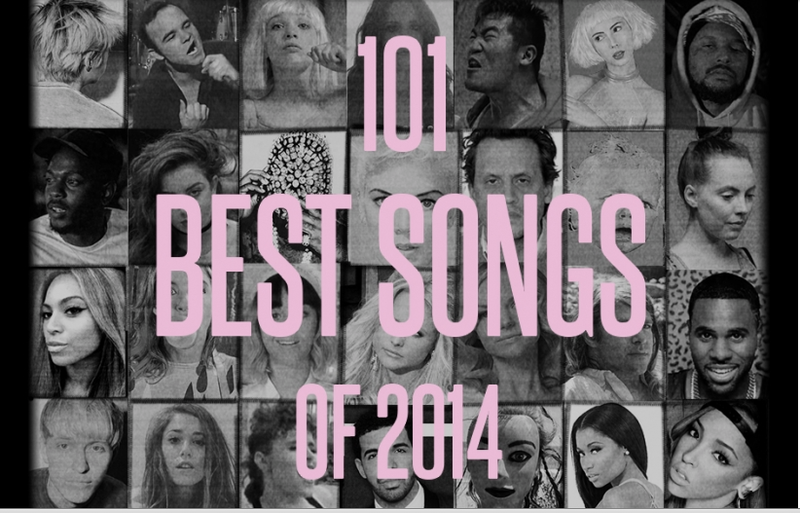 Here are a few of my highlights from the list - a lot of songs, many that meeh, whatever! 92. Ariel Pink, "Sexual Athletics"
84. Sun Kil Moon, "Carissa"
70. Todd Terje feat. Bryan Ferry, "Johnny and Mary"
56. The Pains of Being Pure at Heart, "Kelly"
23. Cloud Nothings, "I'm Not Part of Me"
1. Future Islands, "Seasons (Waiting on You)"